place to do your weekly shop. The no-frills supermarket is a great place to grab a bargain and sometimes they even have a clothing line or two that can catch your eye. 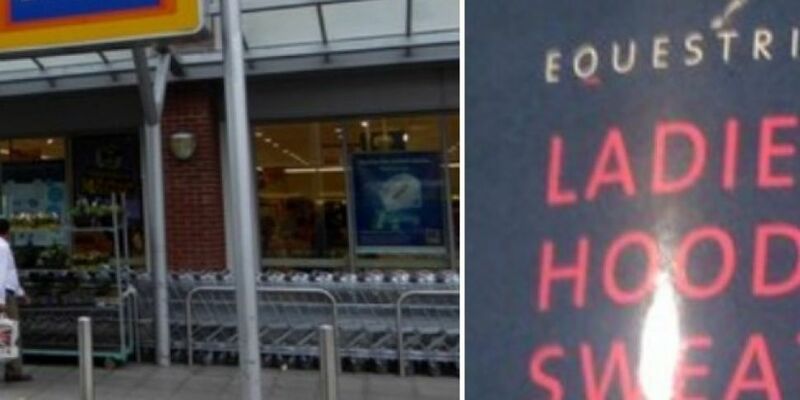 Currently Aldi has a range of ladies equestrian hoodies for sale, and while that's pretty standard for Aldi, it's the slogan splashed across the front that is making people stop and snigger. Immature? Yes. Still funny? Absolutely.